Homemade soft creamy cheese and rocket leaves on crostini. Classic tomato and mozzarella on crostini. Giant crostino with grilled vegetables and melting cheese. Shirmp in a classic pink cocktail sauce. Home-made chicken liver pate served with caramelized onion and toasted bread. Phyllo pastry cigars filled with puree of spiced and sweetly roasted vegetables. Served with two sauces. 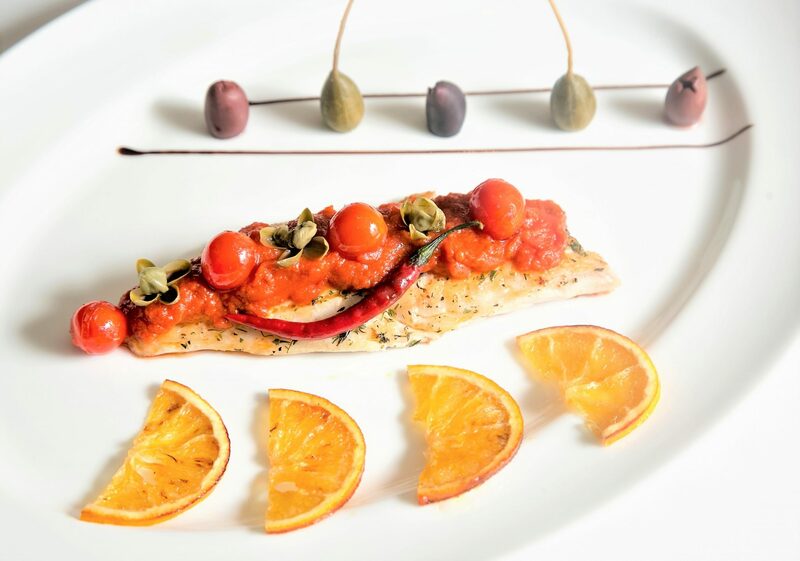 Grilled and chilled sliced chicken with a home-made sauce of creamy tuna, spices and capers. Burrata with cherry tomatoes and basil. Served with toasted bread. Smoked salmon from Scotland and imported avocado on cristoni. Deep fried calamari. Served with homemade sauces. Assortment of Italian cheeses with pears, nuts, honey and dried fruits. Bread served on the side are not gluten free. Cheese and leeks quiche topped with creamy mild Gorgonzola Sauce. Prosciutto di Parma aged for 18 months and sweet melon. 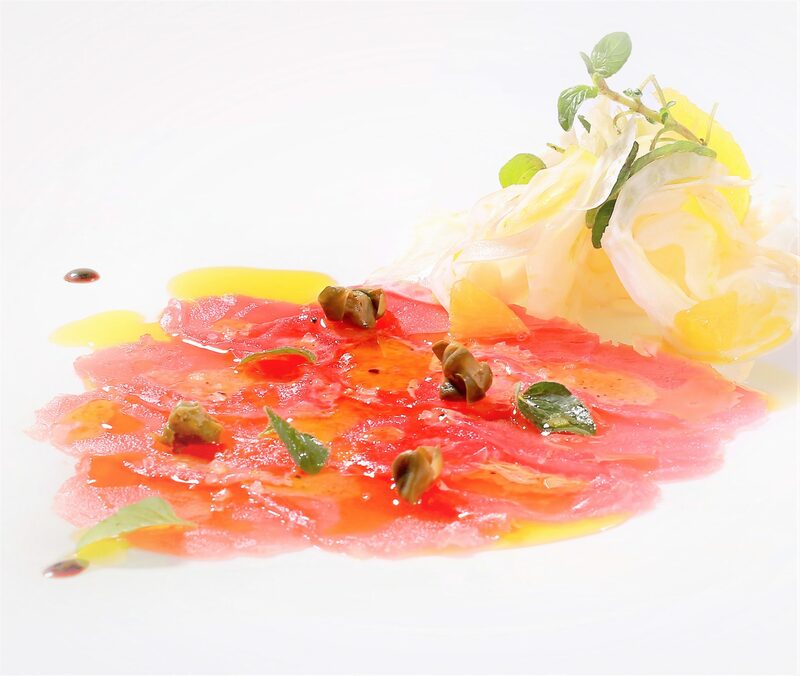 Sliced sashimi grade tuna cured in juice of Mediterranean citrus fruits. Buttery delicate Butterhead salad from natural and sustainable hydroponic farming. Dressed in a splendid raspberry red wine vinaigrette.Topped with Caprino goat cheese, melograno and onion. Rocket and green leaves with imported baby artichokes and Italian Pecorino cheese. Refreshingly dressed in a lemon juice, extra virgin olive and balsamic vinegar sauce. Fresh cut vegetables dressed in our dreamy creamy ARTUSI dressing. Seasonally, your salad may include tomato,cucumber,carrot,beetroot,corn,radish,onion,cheese and more. Mozzarella di Bufala, fresh tomatoes and a slice of "frisella bread". Finished with Italian extra virgin olive oil and pesto Genovese. Rocket and green leaves salad with pine nuts, grapes, raisins, pears and Caprino goat cheese. Finished with extra virgin olive oil and balsamic vinegar. Chilled soup made from ripe tomatoes and vegetables. Minestrone soup from the Emilia-romagna region. According to our tradition this minestrone is thick in consistency and contains very little tomato. 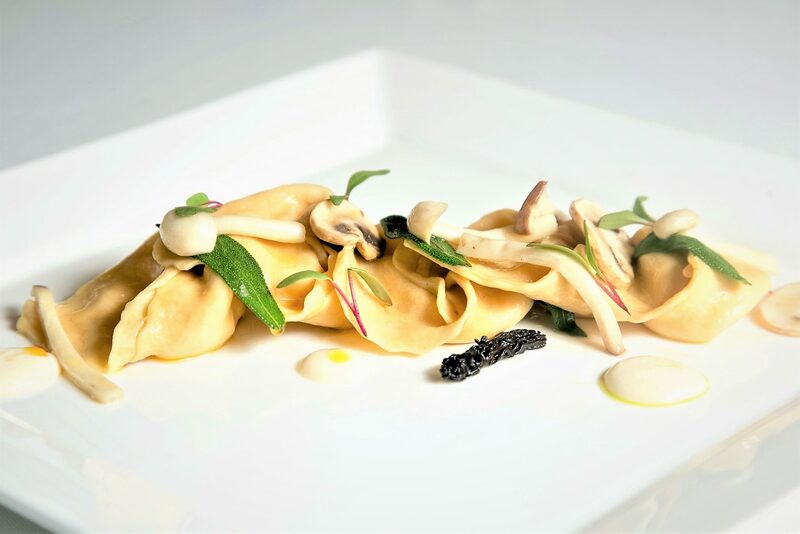 Artfully hand-shaped pasta pockets filled with cheeses set in a very delicate and light vegetable broth. Artfully hand-shaped pasta pockets filled with minced pork meats and chicken set in delicate poultry broth. Risotto Pomodoro with richly stewed vegetables from luxurious Carnaroli rice. Mushroom Risotto made from luxurious Carnaroli rice and a selection of finest mushroom. Finished with parmesan cheese. Traditional Risotto Milanese made from luxurious Carnaroli rice and fine Italian saffron. Premium quality lobster and prawns set in a Carnaroli rice tomato Risotto. Finished with a rich, silky and luxurious lobster bisque. A new presentation of one of the most traditional Italian baked dishes With aubergines,melting cheese and tomatoes. A rich platter of grilled and battered vegetables. Ask your waiter for the seasonal selection and choice of the day. Delicious french fries tossed in Parmesan cheese and truffle oil. Gnocchi set in a tomatoes sauce with Pancetta, crushed chilli, pepper, garlic, red onion and a sprinkling of Pecorino cheese. Rustic twisted ribbon pasta set in a sauce of aubergine, tomato and grated salted Ricotta. Bow tie shaped pasta, made from gluten free flour, set in a traditional basil pesto sauce. Rustic Penne pasta set in a minced chicken and tomato ragout Bolognese sauce. Traditional lasagne layered with a luxurious bechamel tomato and Bolognese premium pork ragout. Green and yellow dough angel-hair pasta set in a tomatoes and cream sauce with shallots onions and mushrooms. Spaghetti, made with Semolina flour set in the traditional Aglio, Olio e Peperoncino sauce. Thin flat noodles, made from whole wheat flour, set in a refreshing lemon and shrimp sauce. Spaghetti,made with Semolina flour set in a sauce of Butter, Parmigiano-Reggiano or Pecorino Cheese and ground black Pepper. Broad noodles set in the famous sauce from Bologna made with minced pork meat and tomato. Spaghetti Chitarra set in a traditional Carbonara sauce with eggs, cream, bacon, Pecorino cheese and ground black pepper. Broad noodles set in a luxurious cream sauce with finest quality smoked salmon imported from Scotland. Black squid ink Spaghetti Chitarra set in a refreshing sauce with lemon and luxurious Bottarga. Italian truffle churned by our chef into fresh butter is the refined condiment for our home made gluten free Tajarin pasta. A truly luxurious stand out. Available also in refined flour pasta, whole wheat flour pasta, as well as eggless semolina flour pasta. Spaghetti Chitarra with lobster and prawns set in a rich, silky and luxurious bisque sauce. These green triangle shaped ravioli are made with spinach dough, filled with pureed roasted vegetables and set in a sauce of spiced tomato and aubergine cubes. Half-moon shaped pasta pocked filled with Burrata cheese. Set ina spiced tomato sauce with cherry tomatoes. Ravioli filled with spinach, herbs and Ricotta cheese. Set in a butter sauce with sage and asparagus. Pasta pocked filled with melting cheese finished with selected sauteed mushrooms set in extra virgin olive oil. Pasta pockets filled with minced pork meat and prosciutto. Set in a light cream sauce. Pasta pocket filled with shrimp and prawns set in a rich and luxurious bisque of crustaceans. Grilled Chicken breast set in a delicate cream and mushroom sauce served with Grilled vegetables. Thin breaded chicken breast served with ARTUSI Potato Chips and green salad. Served with our own spiced mayonnaise sauce. Thin breaded pork cutlet as traditionally prepared in Milan. Served with French fries and green salad. Pork fillet sliced grill-side and served with backed rosemary potatoes, onion rings and grilled vegetables. Pork Chops grilled to perfection and served with potato puree and grilled vegetables. New Zealand Lamb Chops grilled with pistachio lemon oil. Served with baked potatoes, grilled eggplant and tomatoes. Fish of the day as selected by our chefs. Ask your waiter about today's choice. Set in our own sauce of tomatoes and capers. Sea bass baked in a “Cartoccio” bag with steamed vegetables and its own broth. This is a light, mild flavoured and healthy option. Finest Norwegian salmon fillet. Crusted with aromatic herbs. Served with zucchini and squashed potatoes. Giant prawns grilled to perfection. Served with a delicate potato puree. Pan-seared imported premium quality scallops finished with our own home-made tartufo butter. Served on a bed of fine cauliflower puree. Imperial seafood platter for two persons featuring lobster, crab, prawns, shrimp and fish. Finished in a rich and silky lobster bisque Served with grilled breads. Our signature Panna Cotta set in caramel with almonds and caramelised figs. Crispy Fried Pastry Cream and Gelato. Traditional Italian 'Crema fritta' crispy custard pockets served with a scoop of home-made vanilla ice cream. Home-made classic Italian dessert with coffee and brandy. Mousse of Dark chocolate finished with caramelised orange peel. ARTUSI lemon, rosemary and coconut sorbet. ARTUSI vanilla ice cream scoop set in hot Italian coffee. Add Italian Amaretto liqueur 280. 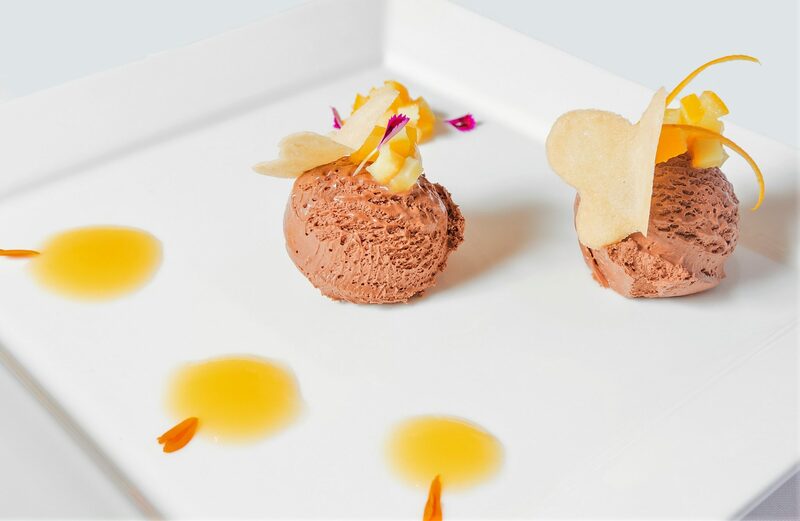 ARTUSI ice cream in ever changing classic and exotic flavours. Two scoops served with whipped cream and almond croquant.